Missed opportunity. It happens when we over-analyze and move too slow. It also happens when we try to move too fast. Great product strategy and planning consume time and resources but also enable businesses to move faster. Great planning maximizes long-term growth, aligns resources, and improves likelihood of product & market success. Product goals & strategies are a waste of time. Unless of course, they actually provide clarity on how the product will help the business execute its strategies and achieve its goals. Articulate, cogent product vision & strategies can be challenging to create but provide much-needed coherence and guidance for the product planning process. Our consultants help organizations craft goals & strategies that clearly communicate how the products will help the business address its targeted near- & long-term opportunities. Comprehensive, credible product plans are fundamental to product management. They assess product and market opportunities and communicate the plan for addressing them. Yet, product planning is often tedious and requires more time and energy than product managers feel they can afford. 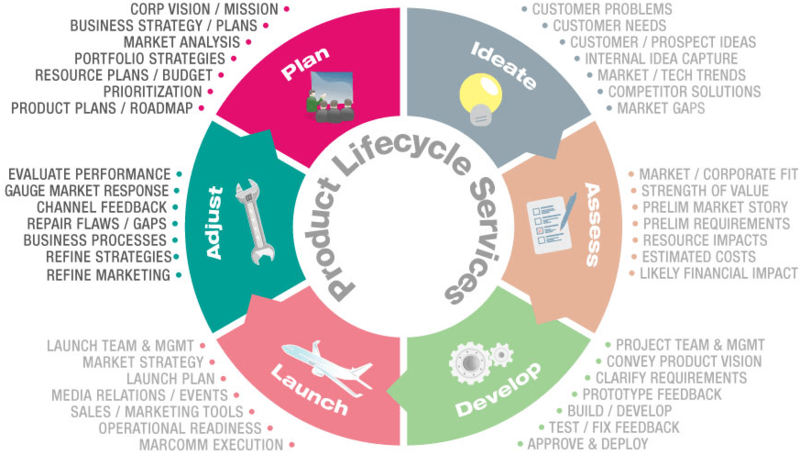 Our consultants lighten the load by: a) helping establish product planning processes tailored to the business; b) developing plan templates that communicate the critical information; and c) rolling up our sleeves to help product managers complete their plans. Product and portfolio roadmaps essentially chart the product vision by depicting a schedule of prioritized product initiatives over the planning horizon (5+ years.) The best ones tie with marketing & technology roadmaps to ensure coordinated effort and recognition of dependencies. Great roadmaps are an excellent tool for guiding and preparing resources for a view of what is coming. Deacon Lloyd consultants help with both the process for developing roadmaps as well as crafting the resulting output.